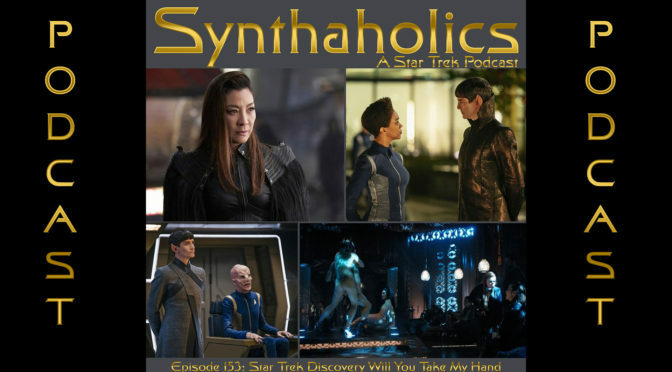 The end is nigh, this week Aaron and David discuss the Star Trek Discovery season finale Will You Take My Hand. 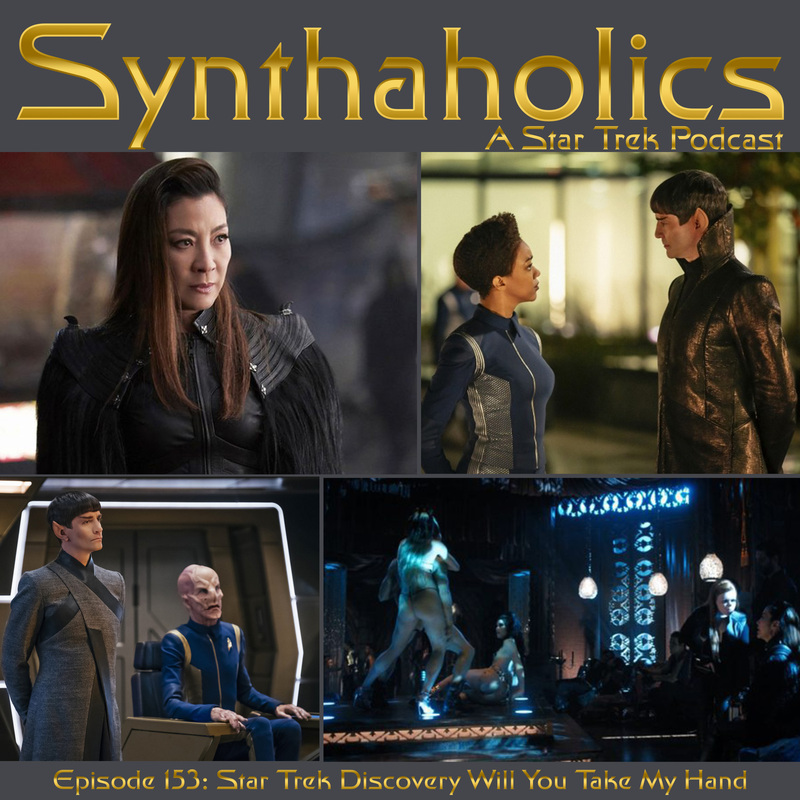 This episode brings us to the close of the Klingon War in an unexpected way. Will You Take My Hand is full of some fantastic character moments and the whole cast really brings it this episode. This episode has a great surprise guest actor who’s popped up in Star Trek before, that was such a joy to see. Michaels actions in The Vulcan Hello come full circle in this episode and she stands up for federation ideals! Aaron and David are both extremely excited to see where things will go in season two. It’s time to find yourself a green drink for your weekly shot of Star Trek! 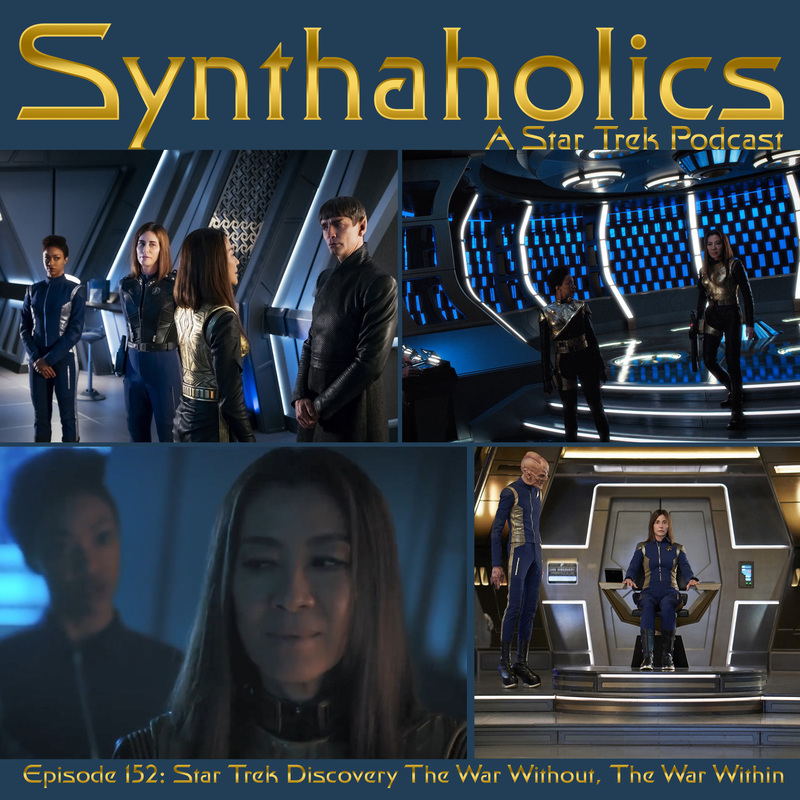 Aaron and David are back to discuss the latest Star Trek Discovery Episode The War Without, The War Within. The Discovery has jumped back from the Mirror Universe nine months into the future. Admiral Cornwell beams over to point a phaser at Saru and to chat with L’Rell. The klingons are winning the war, the federation has lost one third of its fleet. So now in the federations most desperate hour it’s time to play mushroom farmville. 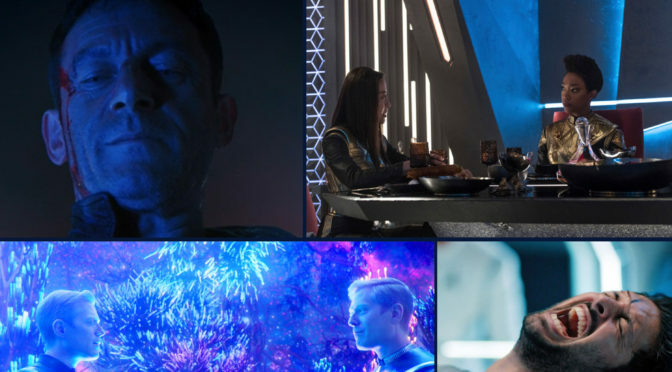 Discovery needs it’s spores to go on an insane mission in next week’s season finale of Star Trek Discovery! Oh and uh Dude where’s my Red matter? This episode left us with many many questions and we aren’t sure if they have time to answer them in next weeks episode. Wonder what kind of drinks can be made on mushroom moon? Grab your favorite drink it’s time for your weekly shot of Star Trek! 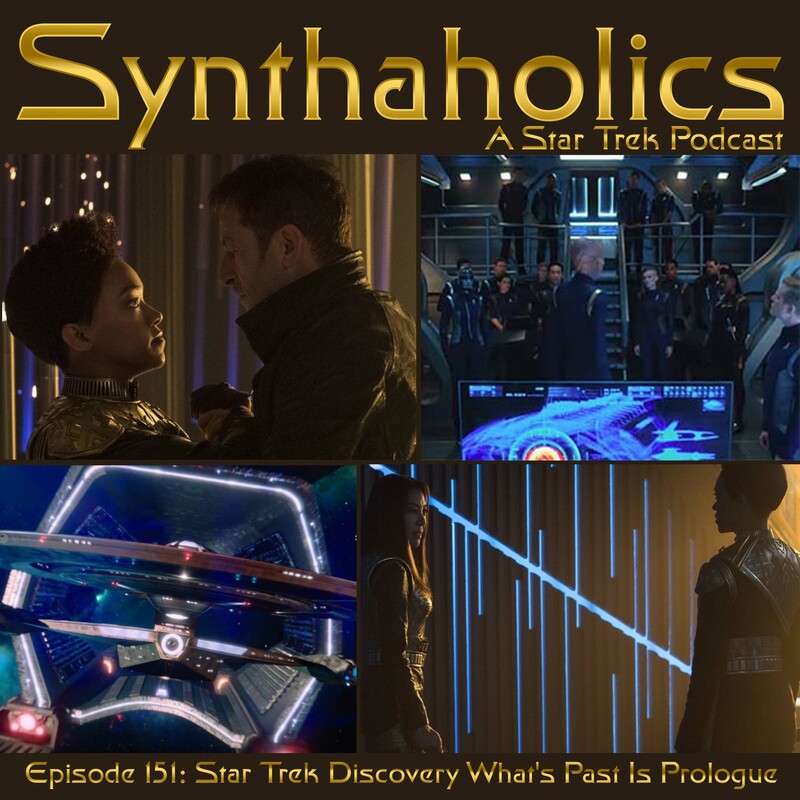 Aaron and David discuss the latest Star Trek Discovery Episode What’s Past is Prologue. Mirror Lorca is free and sets his crew free so can make his move against Emperor Georgiou. 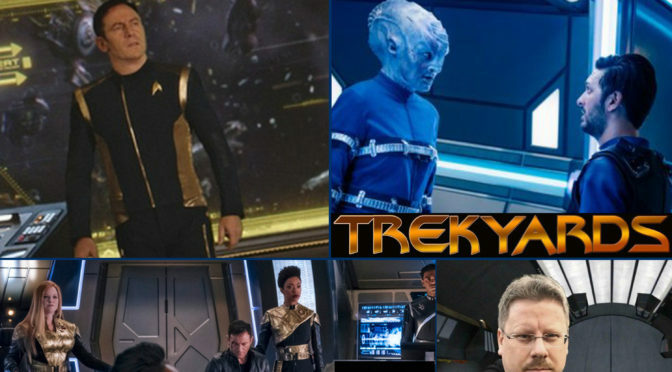 The USS Discovery is warping into a trap and Michael is wanted alive by her former captain. 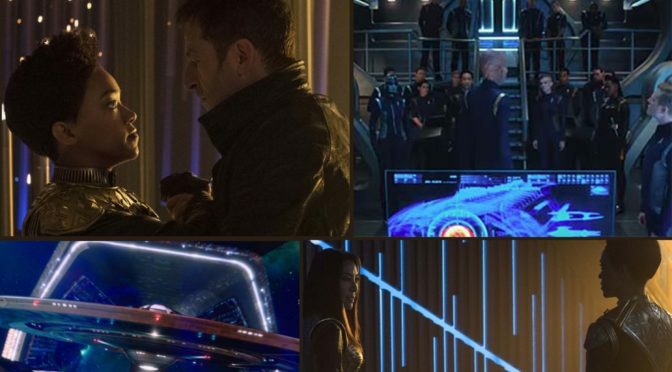 With Stamets now awake the crew of the USS Discovery learns that the ISS Charon is what is causing damage to the mycelium network and is potential an unwitting the ultimate multiverse wide doomsday machine! We give you the lowdown on what happens in this week’s episode and our confused thoughts for what’s to come. We hope you like hot drinks because we might have to slingshot around the sun soon. It’s time for your weekly shot of Star Trek! 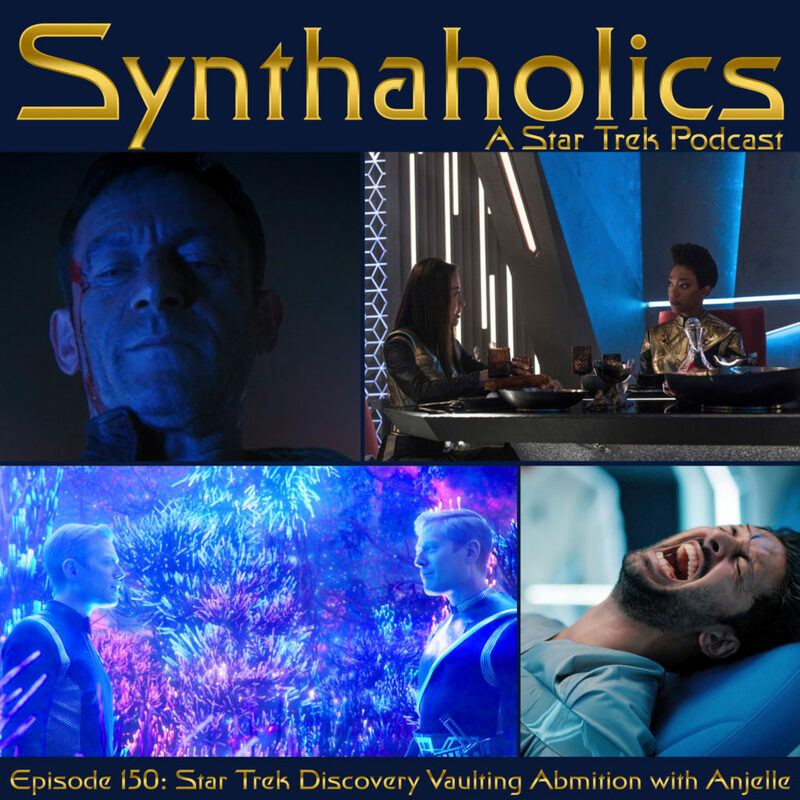 This week our friend Anjelle joins Aaron and David to discuss Star Trek Discovery Vaulting Ambition! For our third week straight we are in the mirror universe. Vaulting Ambition was a very fun episode but It took us through a few twists some we saw coming and some that we did not see. While the jaunt to the mirror universe has been interesting both Aaron and David hope next week’s episode will take us back to the prime universe. Make sure you grab your pain numbing agent! It\s time for another trip to the agonizer booth! 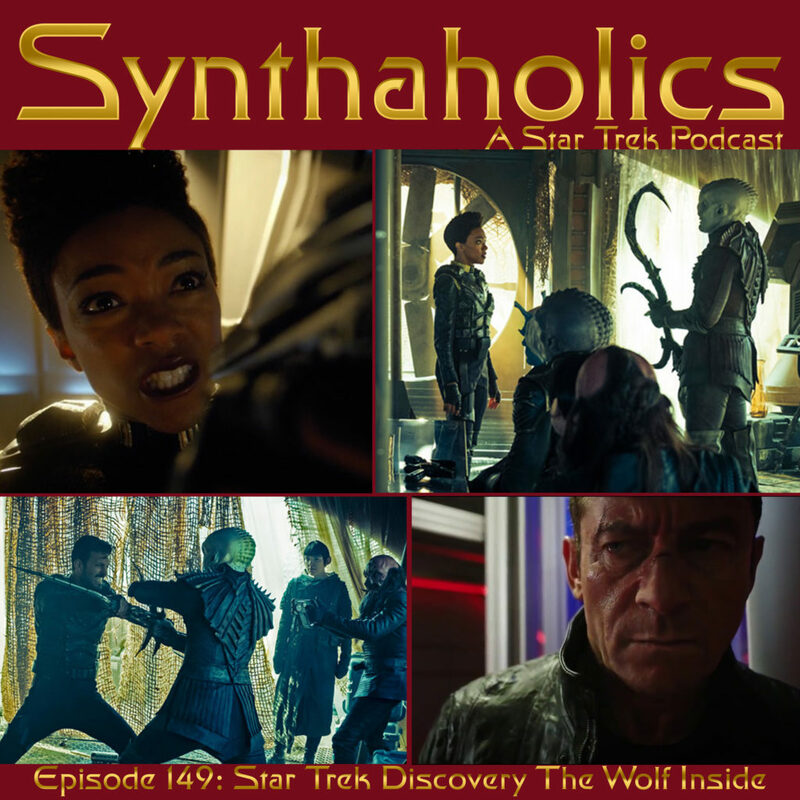 Aaron and David this week talk the latest Star Trek Discovery Episode The Wolf Inside. But first we have a bit of news first our YouTube channel has hit the 100 subscriber milestone that has us excited. Then secondly the big news is that Viacom and CBS are in talk to merge. This is an extremely exciting development and we discuss the possibilities this could open up. The Wolf Inside feels very much like a bridge episode to next week’s episode. We hope this Mirror universe tangent will be wrapped up in next week’s episode. 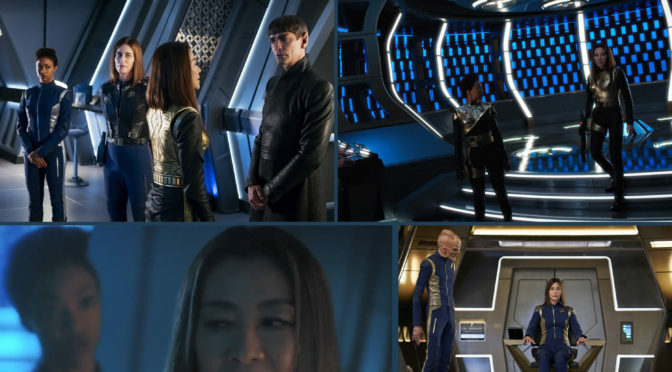 But we take some time to speculate that it may stay in the mirror universe even longer than that, and where we think will happen as the season wraps up. Pour yourself a drink your mirror self would love it’s time for your weekly shot of Star Trek! 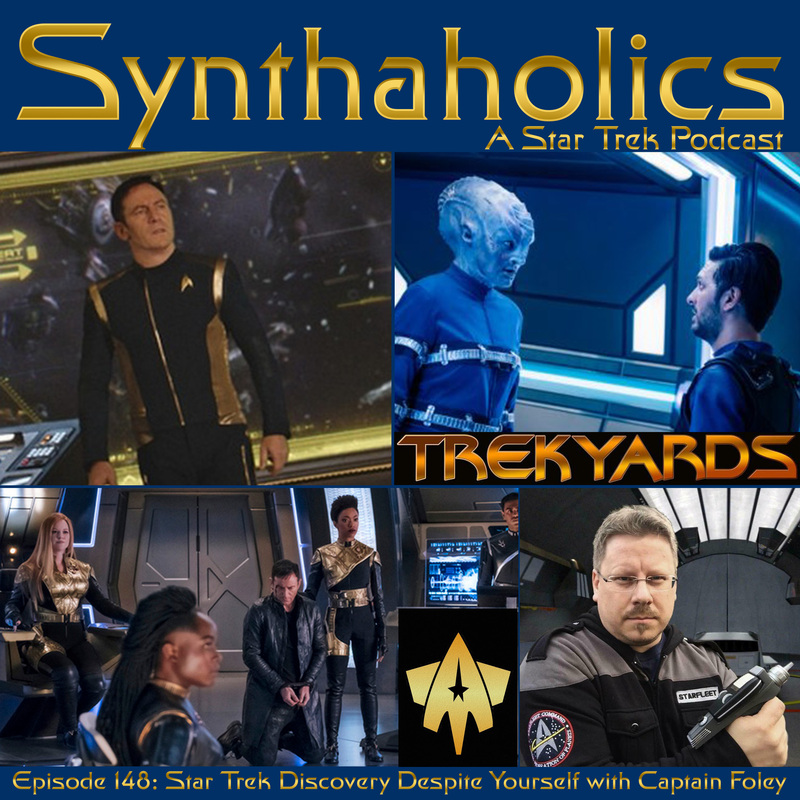 Captain Foley of Trekyards joins Aaron and David this week to discuss the latest episode Star Trek Discovery, Despite Yourself. 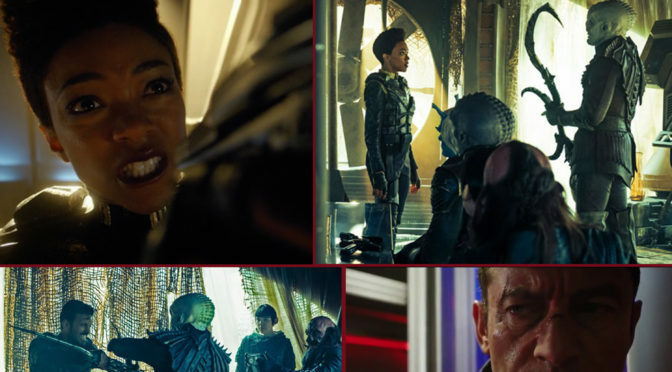 Despite Yourself sends the crew of the USS Discovery to the Mirror Universe and things awesome. We know the wait hasn’t been that long for this episode but it really feels like it. We are so glad Captain Foley could join us for Discovery’s return because we had a feeling this would be a big episode! What would your mirror universe self drink? You should pour yourself a glass of that because it’s time for your weekly shot of Star Trek! Please check out Captain Foley’s links for Trekyards and Fleetyards on Facebook and subscribe to their YouTube channel for great Star Trek content.